Mini-ITX was originally launched by VIA to showcase chipsets and processors. Following its release, there was a significant interest by consumers, and this led to the formal launch of commercial Mini-ITX boards in 2001. 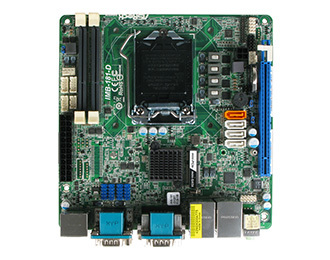 Logic Supply were the first company to make Mini-ITX boards available to the US market in 2003. Mini-ITX is only 17 x 17 cm (6.7 x 6.7 inches) and offers both full height and low profile I/O options. The smaller footprint of the form factor makes Mini-ITX the perfect choice for discreet installation in industrial and embedded applications. Selecting Mini-ITX as a form factor definitely doesn't limit your onboard I/O options. The Mini-ITX form factor has the same I/O offerings as an ATX board, all while being housed in a smaller case. Pin-headers can then be used to further increase the I/O options, making sure you have all the ports you need for your application. Small systems for space constrained applications – Compact Mini-ITX PCs fit where towers don’t. Power efficient, but highly-capable – Low power processors ensure system longevity, but Intel options deliver sufficient punch.